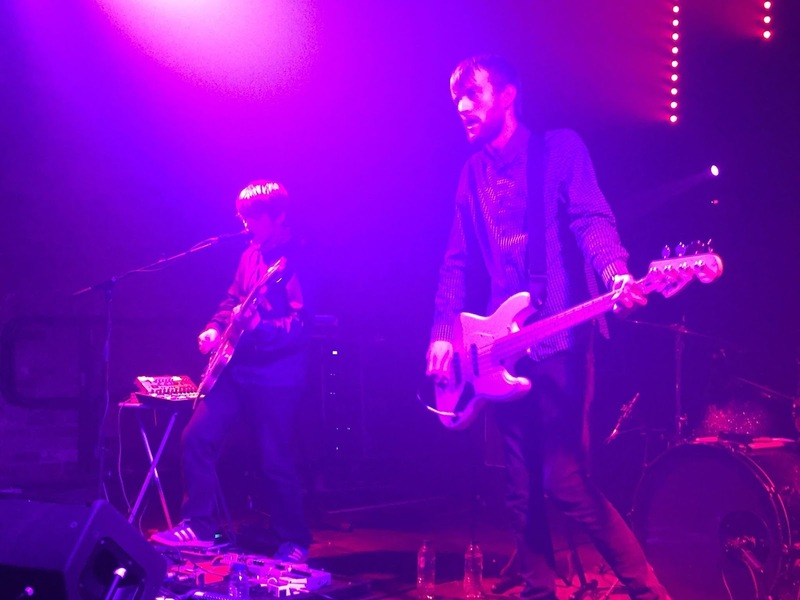 The Lucid Dream end the first leg of their Actualisation tour on a high. 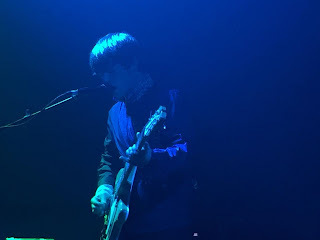 Stuart Ralston popped down to see a band continuing their ascendancy and, at the height of their powers, wowing their home town crowd. 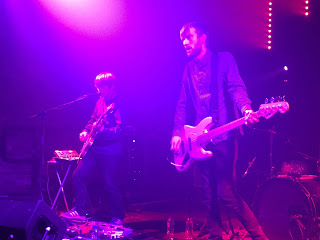 At the end of a mesmerising, uplifting eighty minute set, The Lucid Dream - Mark, Wayne, Mike and Luke - punch the air, lift their instruments aloft and applaud the audience. Tonight is a triumph and sees an audience as equally transfixed as they are elated. 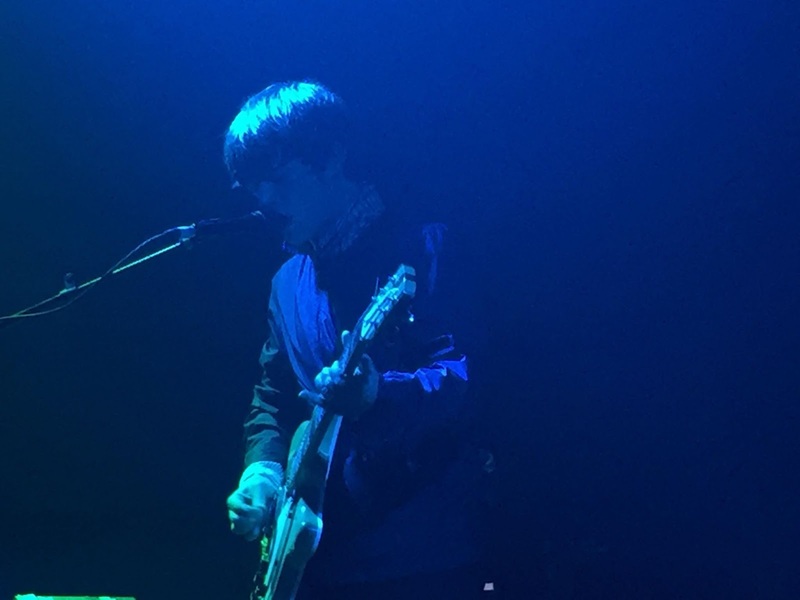 There is a lot of love between the band and the crowd and The Lucid Dream's well documented paradigm shift is fully justified given the reactions in the room tonight. Opening with the ten minute masterpiece of Alone In Fear, from the new album, The Lucid Dream dispense for the need for a slow building introduction. Instead, they grab you and pull you in from the outset. The pulsating beats from Luke Anderson on Alone In Fear are not for the faint-hearted, with Mike Denton's bass fighting through a wall of sound. The Lucid Dream well and truly mark their territory. 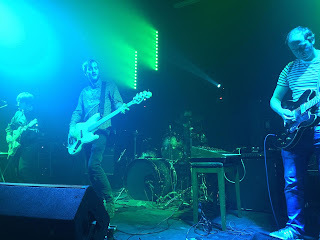 For many bands, this would be the pinnacle of their live show, but The Lucid Dream are far from the average band and Alone In Fear is merely a prelude. Bad Texan is greeted with acknowledging cheers from the crowd and has a psychedelic swagger and a charm. Wayne Jefferson's guitar pumped through a vintage Vox amp sounds incredible whilst Mark Emmerson conjurers up an array of sounds from the opposite side of the stage. I'm A Star In My Own Right sees Emmerson using his melodica to full effect. Clocking in at eight minutes, it's another epic tune, although much slower in pace and tempo than the earlier offerings. Almost every Lucid Dream is like a mini symphony and I'm A Star In My Own Right is no exception. New album Actualisation is almost played in its entirety tonight with the groove-laden Zenith and the wah wah funk of Breakdown amongst the highlights. However, lead single from the album, SX1000 gets the best reception of the night. With its mix of synths, sequencers and a pounding rhythm section, the crowd fully embrace it and dance with wild abandon. Acid House has rarely sounded so good. Ardency gives us a chance to cool off. The introduction gives a nod to George Harrison circa '67, before the dance beats and some epic, swirling guitars take over. The set closes with the massive Epitaph. The band throw everything they have left at Epitaph and it's up there on a par with My Bloody Valentine's You Made Me Realise. A monumental way to end an incredible set. The band return to encore with an impassioned Mona Lisa. The four band members operate in their own space yet blend together to create the most glorious of sounds. With the band barely pausing for breath, tonight's show was over all too quickly. With the latest round of live shows and the new album, the band have somehow managed to move up another gear, where many didn't think that was possible given their own high standards. Playing by their own rules and doing things their own way is paying off dividends. Few bands seem to capture as much adulation as The Lucid Dream. All plaudits are truly deserved. The Actualisation album tour calls at Gdansk Spacefest (December 8) before further dates next year at Glasgow Broadcast (February 2), Liverpool District (8), Manchester Yes (9), Birmingham Hare And Hounds 2 (10) and Newcastle Cobalt Studios (16).